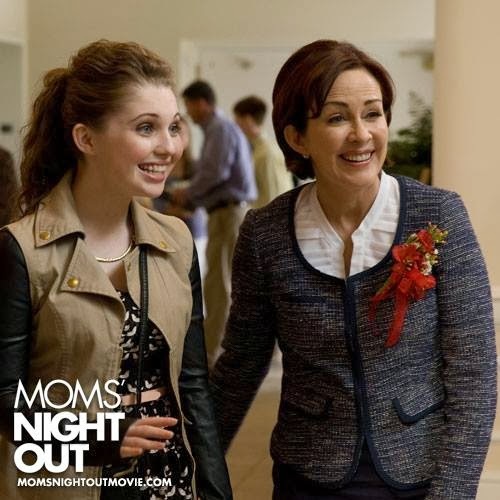 Moms' Night Out Movie ~ Perfect for Date Night, Girls' Night, or Family Night! 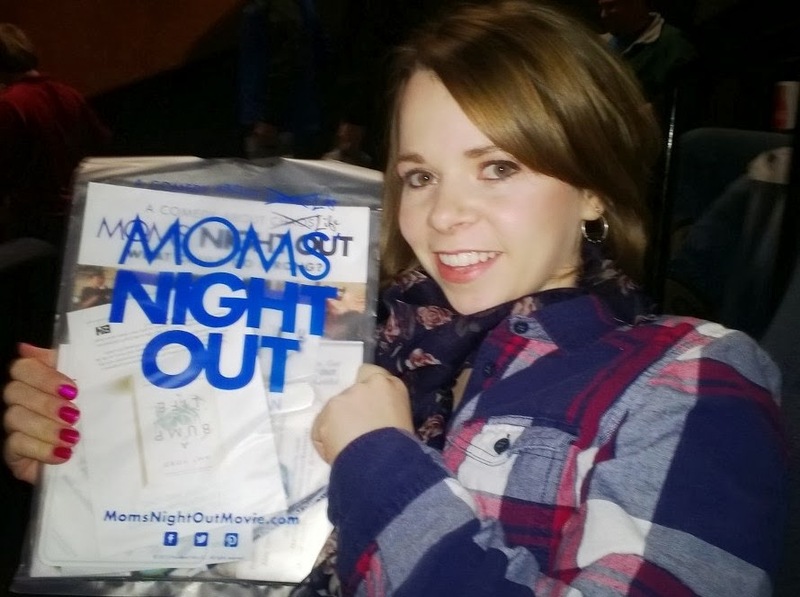 Last week we were invited to an advanced showing of Moms' Night Out. We were so excited because we were hearing some really great buzz about the movie and quite frankly we were ready for a nice little evening out ourselves! 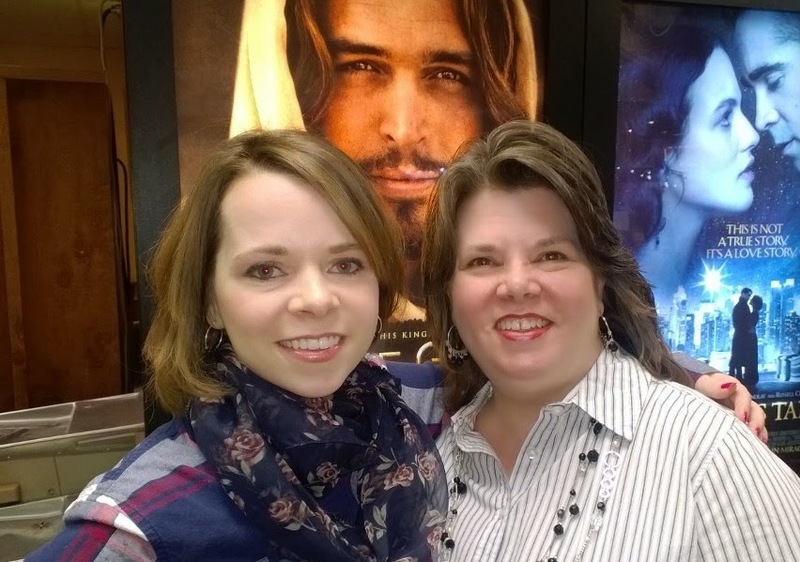 A sweet friend of ours pointed out that Jesus was photo bombing us! Guess if we are going to be photo bombed then who better than Jesus, right?!! We each received a bag with information about the movie and a little bit of swag! Then we settled in to watch what proved to be one of the funniest movies we've seen in quite some time. Here's the official trailer, take a look and get a taste of what we saw. 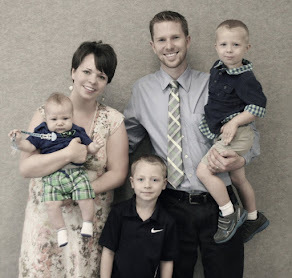 Sarah Drew plays Allyson, a beginning mommy blogger, that is drowning in the chaos of everyday life. Let me just say that if you are a blogger or a mommy of little ones, the beginning of this movie may come across as more of a documentary of your life than a comedy! We laughed so hard that we had to keep wiping our eyes. Unless you are that unusually neat, tidy, organized and ultra patient mom, I can pretty much guarantee that you are going to relate to this movie on some level. The supporting cast is fabulous. Patricia Heaton plays the pastor's wife and through her character we get a little peak into the not so perfect things that really go on. 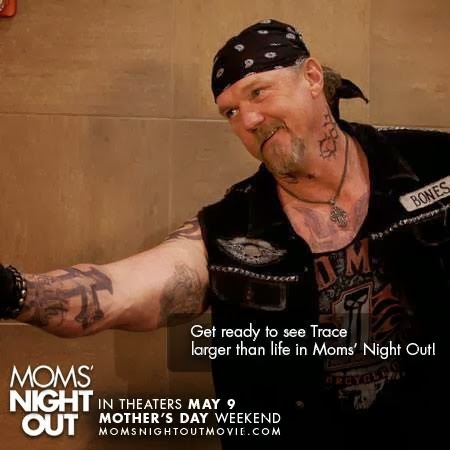 Trace Adkins plays a tattoo parlor owner/artist and a big bad biker guy. But believe it or not the line that stuck with me from the movie came from his lips. This film is scheduled to hit theaters on May 9th, which is Mother's Day Weekend. Trust me on this one, you can't go wrong by taking your favorite momma to see this movie! 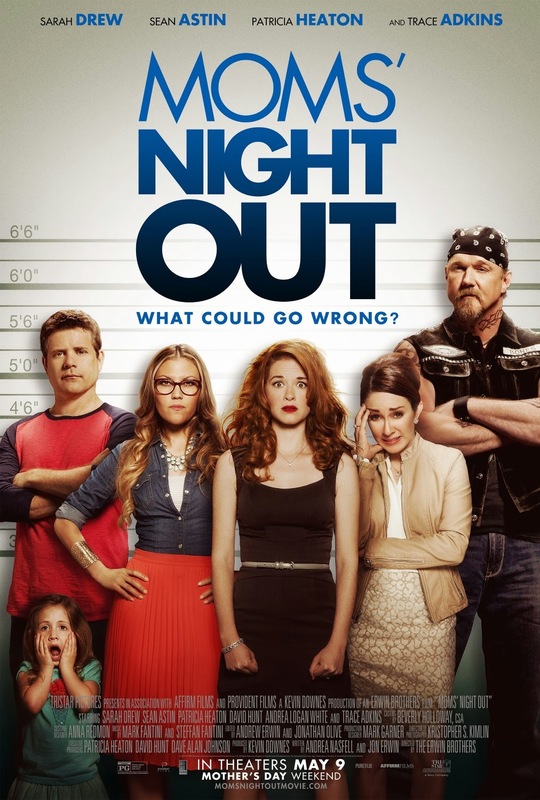 To keep up to date on what's happening with the movie check out their website, www.MomsNightOutMovie.com You can also follow them on Facebook, Twitter, YouTube, Instagram and Pinterest . 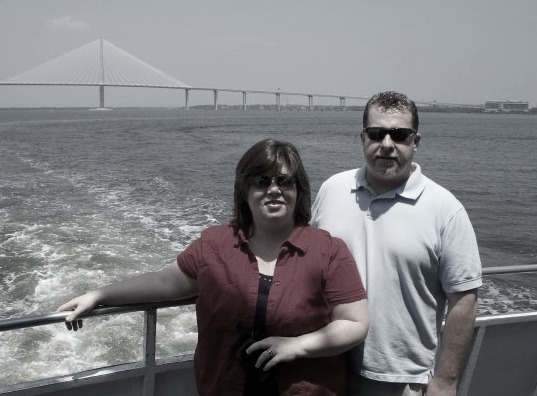 I cannot wait to take hubby! This looks so funny! Can't wait to see it! Taking my mom and sister. Katie, you, your mom, and your sister are all going to love this movie. We laughed so hard we cried! Can't wait to hear what you think of it! Andrea . . . you're gonna love it! Take tissue. You'll need it to wipe away the tears from laughing so hard and then again for the tender sentimental moments towards the end! Can't wait to hear what you think of it! Before I saw the movie, I wasn't sure what it was about. I loved it SO much! I think this will be at the top of my favorites list!